Over the years of writing my own novels, I’ve developed a set of worksheets I use to build layered characters and plan out the skeleton of my stories before I ever write one word. I use a variety of techniques, including some from the world of screenwriting, that have helped me improve my storytelling and drastically cut the amount of time it takes to write a book. These worksheets can help you write better stories too. They are included in my NaNo book, but I’m happy to give them away free to help you too! You’ll get the Story Planning Worksheet for developing rich, layered characters and conflicts, plus the Story Skeleton Worksheet to help you construct powerful elements of the story and plot. Both the Story Planning Worksheet and the Story Skeleton Worksheet are in a single PDF. 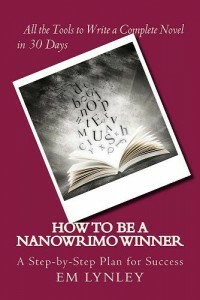 The Worksheets are FREE, and detailed tips and instructions for using the sheets are in the book, How to Be a NaNoWriMo Winner. NaNoWriMo or National Novel Writing Month is an annual event for writers around the world. It offers participants an opportunity to write a 50,000-word novel with the support of others. It may be just the motivation you need to get writing. The key to NaNoWriMo is planning–not outlining–your book before you even write a single word. Have you been dreaming of writing a novel for years and didn’t know how to tackle the daunting task? This book is for you. Have you attempted NaNo and found your story and inspiration flagging long before you hit 50,000 words? This book is for you. Are you an experienced writer or published author who wants a comprehensive planning tool to enable you to plot, write and revise more quickly? This book is for you. This step-by-step method will enable you to build the foundation for a complex novel, with engaging characters and an emotional journey that will keep your readers turning pages. Accompanying worksheets and full instructions make the process almost foolproof. Author EM Lynley has used this technique for the last five novels or novellas–all sold to publishers–and shares her proven method with you. Also available from Amazon, in print, Smashwords and ARe/Omni. Read free with your Scribd subscription!